Millions of people got a Kindle over Christmas. It seems exactly how many have been sold is not clear. What is certain is that I received one as a gift. I didn’t use it for a few weeks after Christmas, but now I use it every day. Of course, there’s lots of free books and loads of other things to read, but one of the most promising features is how it works with Instapaper to complete transform the experience of reading on the web. There’s all sorts of ways to hook up the Kindle to read things from the web including Chrome apps such as Send to Kindle and Readability which seems to be cropping up on websites as another sharing button. I use Instapaper on my iPhone. The Kindle hook up seemed a natural extension of a process I’d already got used to: sending any article over 500 words to Instapaper to read later. 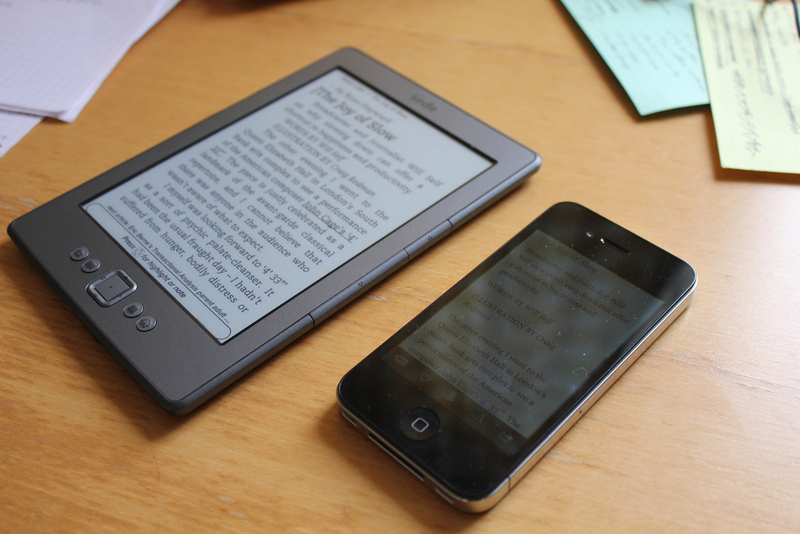 Kindle automatic wireless delivery is an Instapaper extra which is easy to set up. Simply go to your Kindle settings page and allow a unique Instapaper email address and then enter your Kindle’s email address in the Instapaper settings. Instapaper will then deliver the articles you saved throughout the day to your Kindle. Only fools get trapped by tools. Tools exist to serve you. Not the other way around. There is a long-standing unspoken pact between tools and their owners, which says that tools should disappear the moment you stop needing them. This is the way that pencils, hammers, and leaf-blowers behave. But many of our technological devices – iPods, cellphones, laptops, Blackberries – have violated this pact and overstepped their boundary, asserting themselves onto the lives of their owners, becoming constant distractions. Don’t let your tools trap you. Tools are not the idea. Tools are tools. Kindle would not sit alongside iPhones and Blackberries in Harris’s tirade. The Kindle is a different device. It encourages more intense concentration, which is vital for satisfactory reading. It’s not simply because you can’t check your emails or Twitter on it very easily. It’s also something to do with it not being another glowing rectangle vying for attention. The Kindle’s strength, it seems, is its modesty and humility. Like all good tools, it recedes into the background when you don’t need it. That’s why the Kindle is a brilliant device which, by looking like something from the past, might have shown the way for devices in the future.